Trump Approval Ratings: Did Trump Make Gains After The SOTU And Amid Government Shutdown Concerns? After the longest government shutdown in U.S. history and with another one potentially looming Friday, President Donald Trump's State of the Union address only slightly improved his public perception as polls show he continues to have sagging approval ratings. A Hill-HarrisX poll showed that 47 percent of registered voters said they approved of Trump's job performance — three points higher than last week. 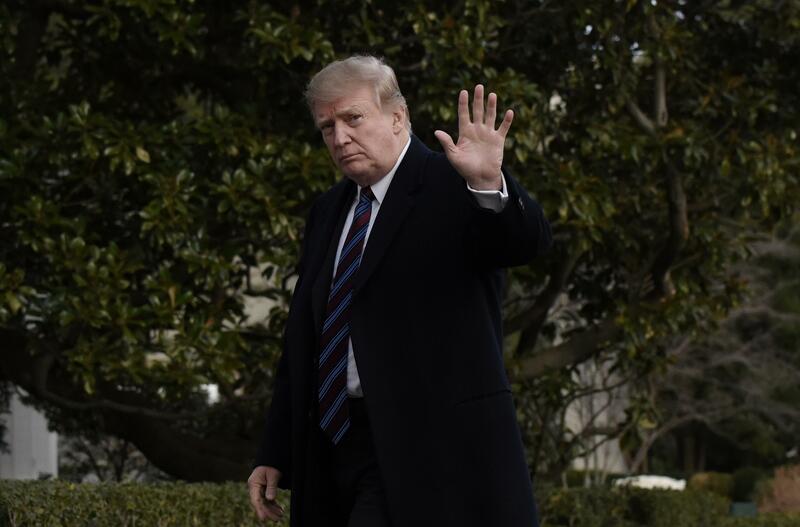 But a Reuters/Ipsos poll released Wednesday showed that Trump's approval rating has dropped to 38 percent and his disapproval ratings have risen to 57 percent. An Economist/YouGov report released last week showed Trump had a 42 approval rating and a 54 disapproval rating. While most polls showed a wide margin between Trump's approval rating and disapproval rating, the right-leaning Rasmussen Reports poll gave Trump arguably the best poll numbers of his term: 52 percent approval and 47 percent disapproval. Quinnipiac University polling, which has an A- rating from FiveThirtyEight.com, released a survey in late January that showed Trump with an approval rating of 38 percent, compared to a disapproval rating of 57 percent. Notably, the poll was released near the end of the government shutdown. A little over a week later, another Quinnipiac survey was released, in which 63 percent of those polled voted against a shutdown over a proposed border wall, and 55 percent remained opposed to the construction of a wall. The poll indicates a steady decline in Trump’s overall ratings since the midterm elections, in which the Democrats overtook the House by 40 seats. An Economist/YouGov poll in early November showed Trump with a 53 percent disapproval rating and a 45 percent approval rating. Around the same time, poll results released by Rasmussen showed Trump with a 48 percent approval and a 50 percent disapproval.